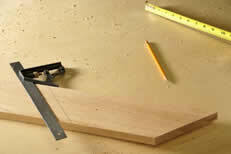 Jigsaw Joinery has been set up to be flexible. Below we detail a number of the services we offer, never forget Quality is always uppermost in our thoughts. Our commitment to quality is such that every individual job large or small gets the same attention. That is why bespoke joinery comes at the top of the list, one off and specialist manufacture comes as a natural by-product of the business. Whether this is a special reception desk, a feature retail island or counter, a special staircase, hardwood wall or kitchen furniture or feature doors and panels, whatever the task trust it to Jigsaw Joinery. If at any time you wish to come and see your production, we can always facilitate this. With our commitment to modern as well as traditional techniques, our investment in CNC machinery makes Jigsaw Joinery more than capable of turning around high volume roll out joinery with the quality, efficiency and competitiveness you would expect. In recent months we have completed the supply of 800 sets of 4 nested tables for display, all painted and lacquered to the highest quality. 20 instore rollouts of wall system and centre floor fixturing, for a clothing company and a roll out of high quality and hardwearing check out furniture for another retail household name in sets of around 20 each time. Add this to a roll out of over 400 new golf display units for a major golf brand, you will see that volume does not preclude our drive for quality. Our quality and finish is never compromised in a roll out programme, whatever the time scale or quantity, give Jigsaw Joinery the chance to quote. 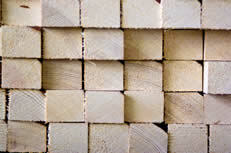 We can build, partially using stock items supplied by yourselves with a phased delivery should you wish. We have introduced this internal division to our services, as we were struggling to find a subcontractor capable of supplying the service and quality we require. This internal division can UV bond any size shape or colour of glass…another reason to use Jigsaw Joinery always looking to improve the service and quality. We can offer a delivery service throughout the British Isles and abroad if necc. And we are able to install should you require this service.Finished goods will be packaged wrapped or palletised to suit your requirements.